In June 1215, King John of England met with a group of discontented barons on Runnymede meadow. The barons were embittered by the King’s arbitrary rule and oppressive taxation. They had declared war on John, raised an army, and captured the city of London. John was forced to agree to a Charter of sixty-three clauses, which protected the rights of the barons and their supporters and limited the king’s powers. The Charter that was drafted at Runnymede is remembered as the Magna Carta. It translates as ‘the Great Charter’ in Latin. In 1215, the Magna Carta was simply a peace treaty between an unpopular medieval king and his powerful barons. It did not achieve this original objective. Within a few months of the Runnymede meeting, the Magna Carta had been annulled by the Pope, and the barons had gone to war with the King. 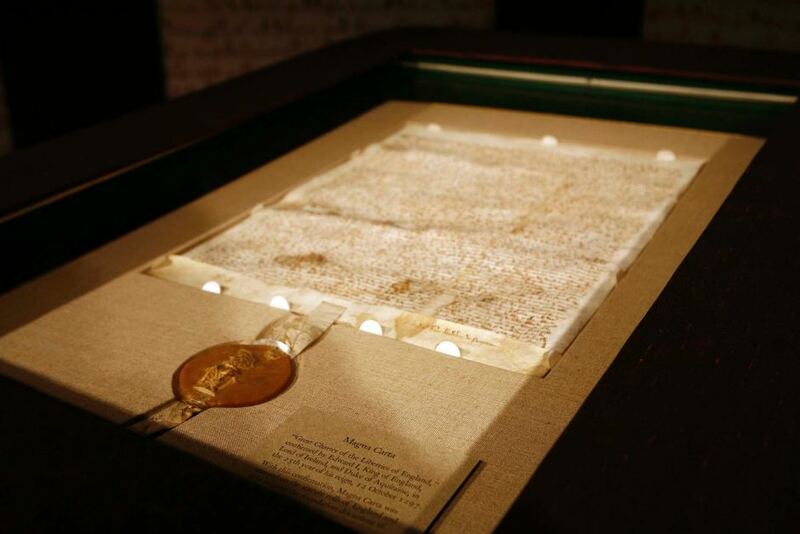 But whatever it might have meant in 1215, in the eight centuries since the Magna Carta, it has become a powerful symbol of the rule of law and the limits of arbitrary power. It firmly established in the English tradition the idea that everybody is subject to the law, and that nobody—whether King, Queen, or Prime Minister—is above the law. From the great seventeenth-century jurist Edward Coke, to the American Founding Father Thomas Jefferson; from the suffragette Christabel Pankhurst, to the British wartime leader Winston Churchill, philosophers, writers, and leaders have found inspiration in the tradition of the Magna Carta.